Samba Nights is a five-reel, fifty-paylines slot game with free games. The Wild Girl symbol substitutes for all other symbols except the Scattered Beach. 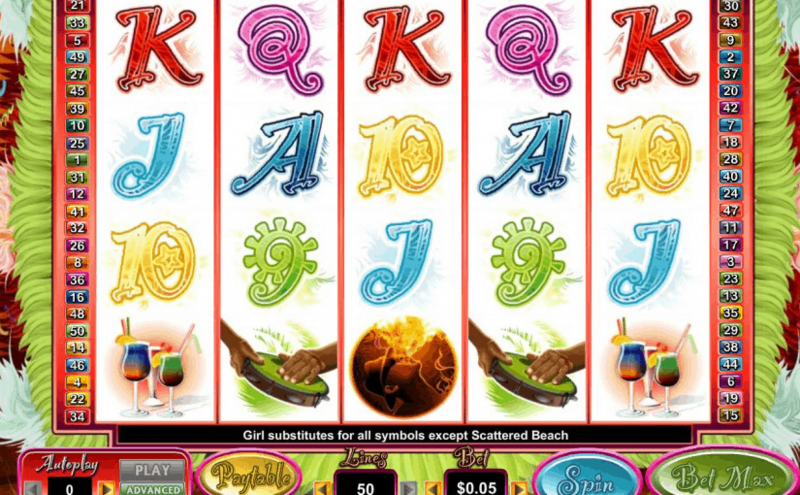 3 Scattered Beach symbols anywhere on reels 2, 3 and 4 triggers the Free Game feature during which all prizes are doubled. The Free Game feature can be retriggered.